A 5.9 magnitude eathquake has struck Western Australia, 203km northwest of Carnarvon at 22.26pm local time (2.26pm BST) at a depth of 10km. Locals in Carnarvon reported feling tremors, after the massive earthquake shook the region this afternoon. One resident reported to EMSC earthquake tracker: "I am holidaying with my children we all felt the beds shake." Another said: "Door was moving for a few seconds." Other locals said: "Definitely felt a shake." Australia is located along the Ring of Fire, the largest and most active fault line in the world, and countries around the ring regularly experience increased seisemic activity such as earthquakes and tsunamis. 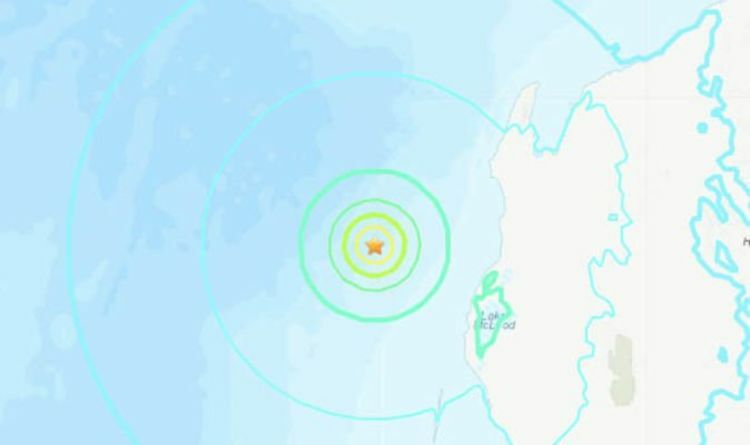 On 24 January this year, Australia's East Coast was rocked by a 4.2 magnitude earthquake off Coff's Harbour, 500km north of Sydney. Tremors were felt by residents as far as 76 kilometres away. One local described the earthquake "a 747 plane in my front yard only under my feet." Senior seismologist at Geoscience Australia Hugh Glanville previously said: “We don’t know if that will happen, but there’s always a chance so we always like to encourage people to get educated. “Given the current activity residents are likely to feel more earthquakes occurring as there’s no reason for us to suspect that activity will stop. On 25 March a huge 6.6 magnitude hit the Banda Sea in Indonseia, sending shockwave tremors across Australia. Residents in Darwin, located hundreds of miles from the earthquake's epicentre, reportedly felt the shake. One resident reported to EMSC earthquake tracker: "Largest, by far, of any tremor I have felt in the past. "Woke me from my sleep due to bed shaking. Lasted between 45-60 seconds. I live in a modern 8 story apartment building." A resident of Nightcliffe, Australia, said: "Building shook and everything rattled."